Colorado State University scientists are joining a new research network called LaserNetUS, established by a two-year, $6.8 million grant from the U.S. Department of Energy. The network is intended to give U.S. scientists access to some of the most intense laser sources available. The initiative is funded by the Department of Energy's Fusion Energy Sciences program (FES) within the Office of Science, and includes institutions nationwide operating high-intensity, ultrafast lasers. University Distinguished Professor Jorge Rocca, in the Department of Electrical and Computer Engineering and Department of Physics, is the network's lead investigator at CSU. LaserNetUS includes some of the most powerful laser facilities in the U.S. It will provide U.S. scientists increased access to the unique, high-intensity laser facilities at nine institutions: University of Texas at Austin, The Ohio State University, Colorado State University, University of Michigan, University of Nebraska-Lincoln, Stanford Linear Accelerator National Laboratory, Lawrence Berkeley National Laboratory, Laboratory for Laser Energetics in Rochester, and Lawrence Livermore National Laboratory. High-intensity lasers have a broad range of applications in basic research, manufacturing and medicine. For example, they can be used to recreate some of the most extreme conditions in the universe, such as those found in supernova explosions and near black holes. They can generate high-energy particles for high-energy physics research, or intense X-ray pulses to probe matter as it evolves on ultrafast time scales. They are also promising in many potential technological areas, such as for generating intense neutron bursts, which could evaluate aging aircraft components, or potentially deliver tightly focused radiation therapy to cancer tumors. 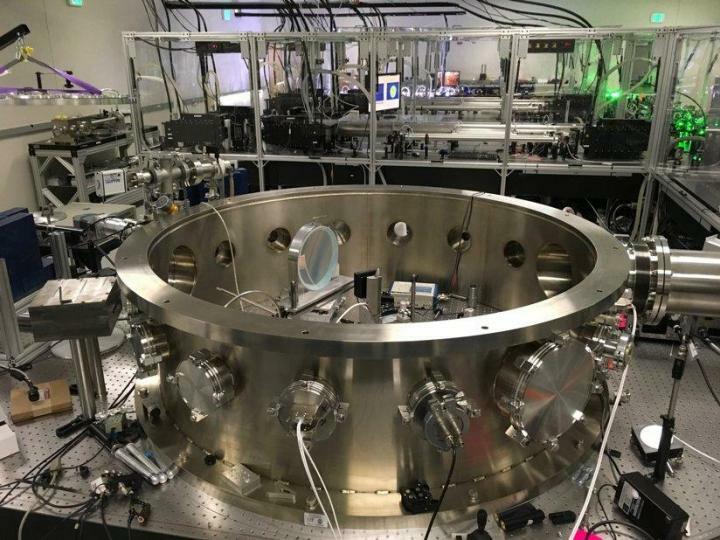 LaserNetUS will give many more U.S. scientists access to a broad suite of cutting-edge facilities, including the petawatt-class laser in CSU's Advanced Beam Laboratory, led by Rocca. Petawatt lasers generate light with at least a million billion watts of power, or nearly 100 times the output of all the world's power plants, but only in the briefest of bursts. Using the technology pioneered by two of the winners of this year's Nobel Prize in Physics, called chirped pulse amplification, these lasers fire off ultrafast bursts of light shorter than a tenth of a trillionth of a second. The U.S. was the dominant innovator and user of high-intensity laser technology in the 1990s, but now Europe and Asia have taken the lead, according to a recent report from the National Academies of Sciences, Engineering and Medicine titled "Opportunities in Intense Ultrafast Lasers: Reaching for the Brightest Light." Currently, 80 to 90 percent of the world's high-intensity ultrafast laser systems are overseas, and all of the highest-powered research lasers currently in construction or already built are also overseas. The report's authors recommended establishing a national network of laser facilities to emulate successful efforts in Europe. LaserNetUS was established for exactly that purpose. LaserNetUS will hold a nationwide call for proposals for access to the network's facilities. The proposals will be peer-reviewed by an independent review panel. This call will allow any researcher in the U.S. to get time on one of the high-intensity lasers at the LaserNetUS host institutions. (Newcastle University) The first human corneas have been 3D printed by scientists at Newcastle University, UK.